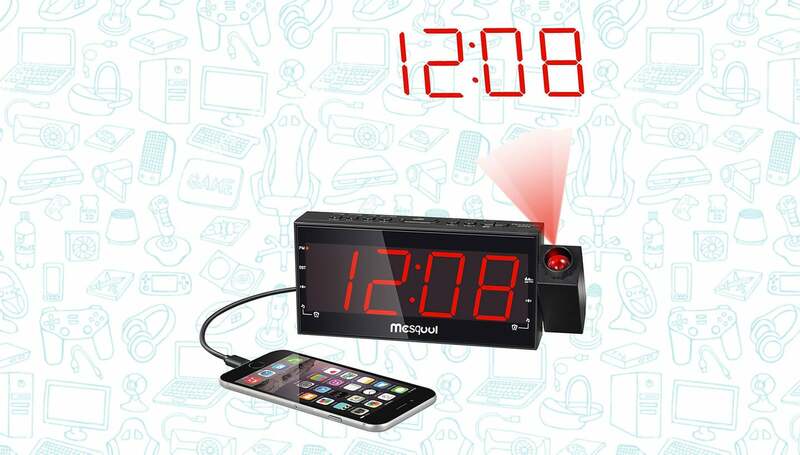 Amazon is offering the Mesqool AM/FM Digital Dimmable Projection Clock Radio for just $20 when you use promo code TPH466ZY. While this clock might seem a little weird at first, it turns out that TON of people love this clock. Why exactly? Because it solves a few problems many of hate dealing with every morning. For one, it has a built-in 180-degree swivel projector so that you can view the time wherever you find it to be most convenient. Want to wake up and see the time on the ceiling? No problem! It also has a built-in USB charger so that you can easily charge your smartphone without having to use another outlet.